For this layout, I started with a black card stock base, and painted up a background using shiny gold paint, and a mask. I then grabbed one of my 3 ink sprays and sprayed some gold around. I added some circles using some white paint on a little plastic lid. I added 4 different patterned papers, from Kaisercraft, and Echo Park, a journalling card from October Afternoon, some washi tape, a flair, paper clip and some twine. The tittle is "Happy" which I coloured using my spectrum noir markers and added some gold paint dots. I added a Kaisercraft chipboard window, which I painted and some flowers from D-Lish Scraps. 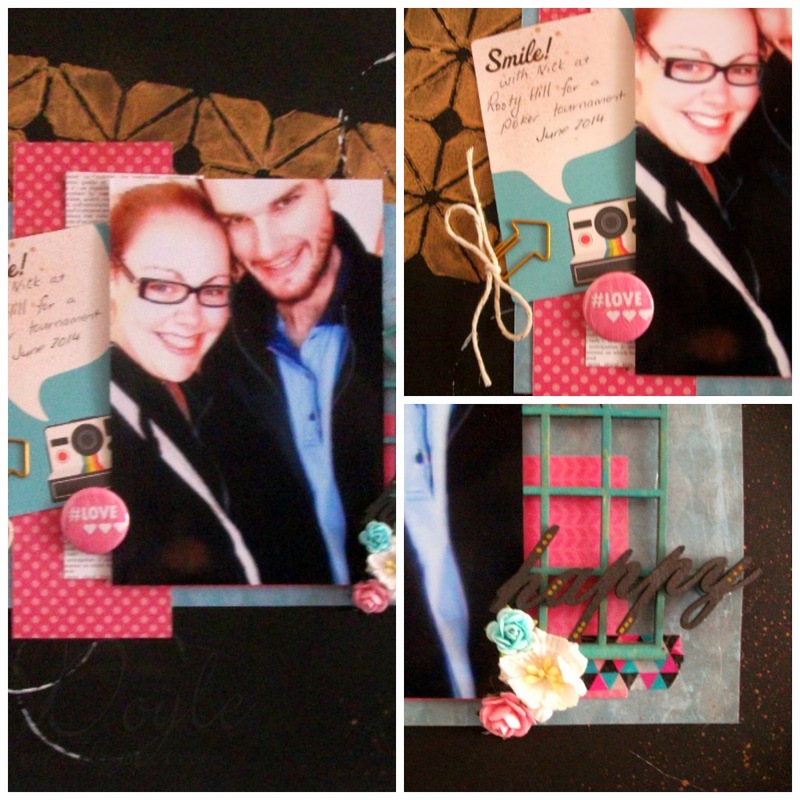 Jess fantastic page,love the colour combo!